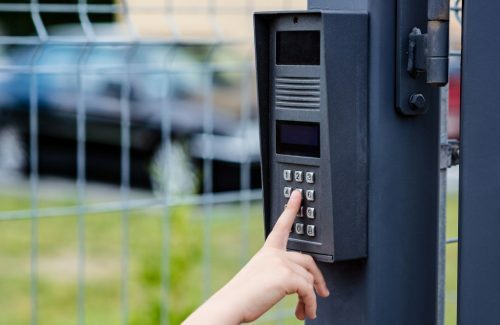 Keep your gated areas secure with wireless voice communication systems. Wireless voice communication allows easy communication with visitors and remote control access of gates from a portable or base station radio. We also offer wireless intercom/callbox with customized features. GateGuard® allows you to control gates with a portable or base station. Portable stations allow you to talk to visitors at the gate from anywhere. Base stations have an intercom station, desk-top or wall-mount option. PhoneAire (Wireless Telephone Entry System) allows users to open the gate from inside the building, using “Push To Talk” communication. You can communicate from any phone on that access line and grant access by pressing the ** on the telephone keypad. The AIPHONE AX Series gives you power to control entry security and building access. It allows you to communicate easily and efficiently while keeping your home or facility secure. You can confirm a visitors identity with close-up images, audio and video images. The AIPHONE JF Series provides hands-free communication, allows you to identify visitors using high resolution video, easy to use, fast installation and can be used in most industry markets including: commercial, educational, government, healthcare and residential.